Oslo Freedom Forum is an annual conference where human rights advocates and world leaders meet to share and brainstorm ways to expand freedom around the world. The Human Rights Foundation (HRF) approached me to tell the conference’s story in an engaging way. The goal was to not only inform potential attendees about the variety of events taking place during the conference, but to also excite them about being a part of something much larger than themselves — about being a part of a global movement for freedom. 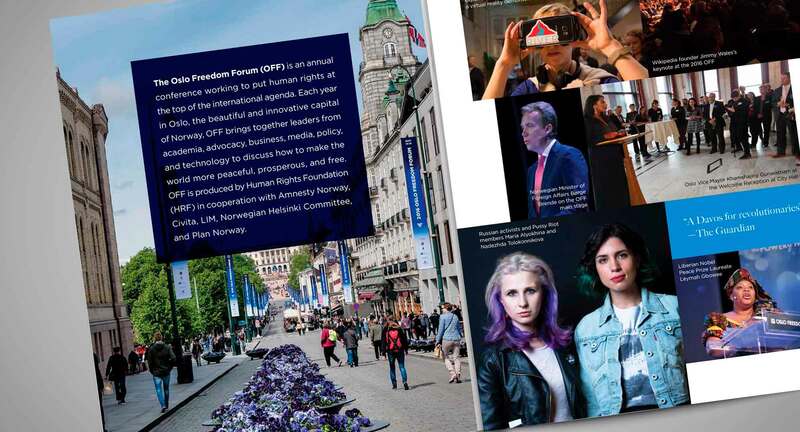 After the success of the Oslo Freedom Forum brochure, HRF chose to work with me again to tell a bigger story. That of the organization itself. 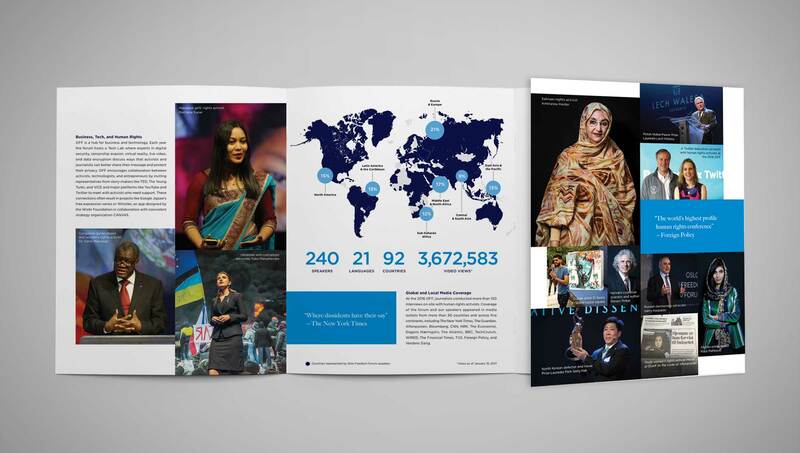 This evergreen brochure needed to showcase the impact that HRF has and continues to have. As well as show the variety of issues and programs they work on round the world.